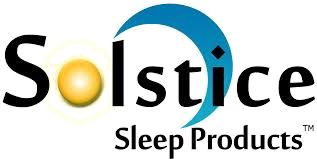 The Coral Plush Mattress is part of the Veridian Collection from Solstice Sleep Products. This mattress uses the traditional concepts of innerspring support ntegrated with technologically advanced construction of the coils. The supportive spring system is designed to improve proper torso alignment and help reduce partner movement throughout the night to give a better night’s sleep. With preferred-grade upholstery materials and fabrics, we are able to harmonize your style with your comfort needs for a great night’s sleep.